Given that I’m using microloading (0.5 and 0.75# plates) to maintain forward progress yet I’m failing on certain lifts anyway, I think I might need to start eating more food. I’ve been loathe to go back to something as extreme as GOMAD as I put on a lot of fat last time, but I think more protein and fat would probably help me hit my goals without causing my BF% to spike. I’m still doing a lot of stretching but I don’t “feel” more flexible than two weeks ago, nor do I think my squat form has dramatically improved. Definitely going to get more coaching. 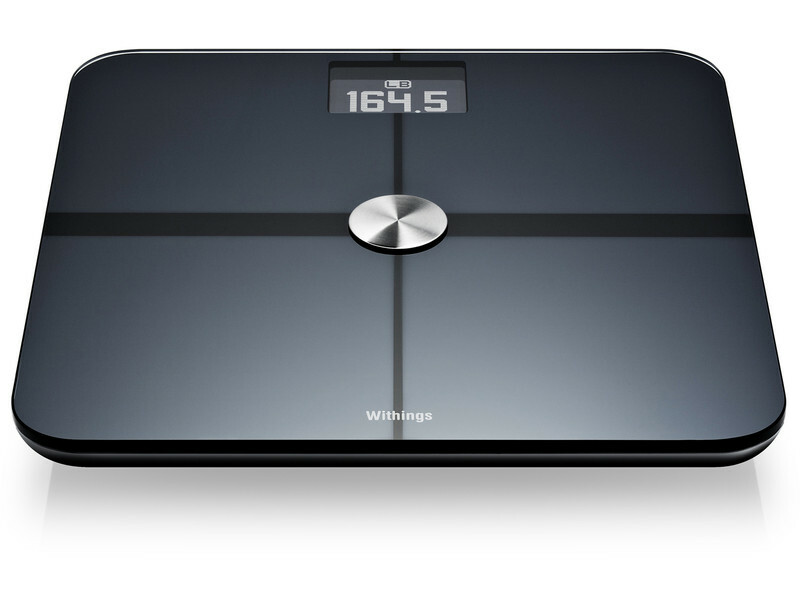 It’s basically one of the newfangled wifi scales. This one has a few nice bells and whistles. It records: weight, Body fat % (using bioelectric impedance), heart rate, room temperature, and CO2 levels. Then it sync’s the data via wifi to both a website and smartphone app. As you can see, so far not very exciting. My weight, body fat %, and lean body mass have been relatively flat, which isn’t surprising as I’m eating a pretty steady state diet. Mostly Archevore. The big deviations include post workout shakes (Frozen Fruit, Whey, ice), occasional fat shakes (whey, 3 yokes, half a can of coconut milk), and too unnecessary amounts of sugar. 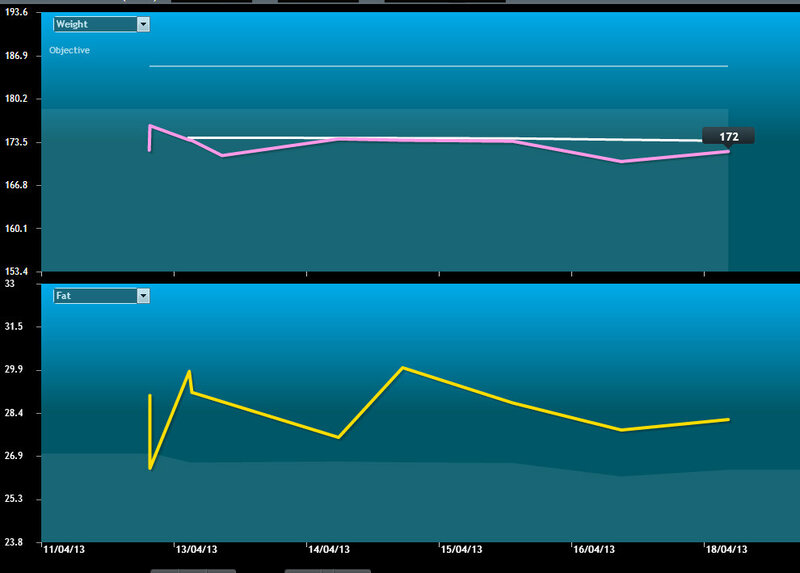 When my Squat gets heavy I’ll probably ramp the calories a bit so I can push further on my main lifts. Outside of basic strength training, I’ve added some sprinting and kettlebell work for the days that I can’t train barbell for whatever reason. My 400m run is ~1:20, which was faster than I expected. Also I’ve done some 2-4 mile loops of central park in my vibrams. Doing better in the next Spartan Race/Tough Mudder will require a higher general fitness level than what I can muster today, but I’m making steady forward progress, which I’m pleased with. 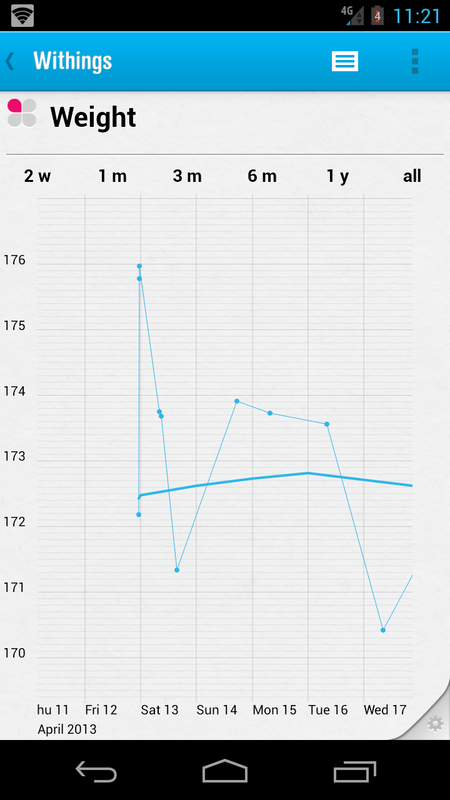 Right now I’m using Fitocracy to track my workouts, RunKeeper for sprints, and a HIIT timer for my tabata’s.